My favorite albums. Click on the title to see more details (reviews, play lists, and samples) or to buy them. Radiohead The best thing that's come out in the last 10 years. The Velvet Underground Almost everything else I like has some connection to this band. REM "As huge as they are now, R.E.M. started out with a small cult that this first album inspired; Peter Buck's chinging guitar, Michael Stipe's impassioned but incomprehensible singing, and the band's unpretentious interaction with its audience were genuinely revolutionary at the time." "Wire's debut is the smartest record of the '77 punk explosion, a formally seamless suite of 21 songs in 35 minutes, edited to the bone and graced with allusive, thoughtful lyrics, howled by Colin Newman like political slogans. The band's crisp, precise snap gets an awful lot of mileage out of their three-and-a-half chords, and their attack never lets up." 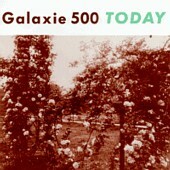 Galaxie 500 "Today is an obvious revision of textbook East Coast guitar bands, specifically Velvet Underground, The Feelies and Television - with a touch of Big Star's Third Album." ... and that's bad because...? The Soft Boys A really ugly cover on a really great album. "Robyn Hitchcock may have to battle to get his annual melodic Rickenbacker-soaked bulletins released over here, but the Americans know a true master of the warped guitar song when they hear one..."
Genesis Art Rock at its best. Sonic Youth Long-winded guitar gods. Guided By Voices "How many influences can you find in this picture? A Beatles harmony and a Syd Barrett musing here and there are easy to spot, but how about the pack of no-name psychedelicists and prepunk garage dwellers that only Guided by voices have ever heard of? Could be thousands." Peter Gabriel Worth it for Solsbury Hill alone. The Shins "Touches of Neutral Milk Hotel's lyrical majesty and the nostalgic swirl of Echo and the Bunnymen abound. But the Shins' music--rich with acoustic guitars, flickering rhythms, and Casio-tone keyboards--is distinct and peculiar." Pavement Uneven, but worth the time. King Crimson Killer guitar playing. Television The other big influence on my favorite bands. Amon Tobin "Amon Tobin's off-kilter rhythms and jazzy samples create a beautiful mess on Supermodified. Feeding off Latin rhythms, downtempo beats, and wildly adventurous musical jumbles, Tobin's manic bliss never allows the songs to wander, working a sense of method into a sea of crazy atmospheres. The result is focused, enticing, and fascinating." The Pixies "...The fractious combination of [Black] Francis's over-the-top but strangely relevant lyrics and vocals, and the band's unsettling melodicism reached its epitome in 1989's DOOLITTLE..."
Clinic "Every so often a band comes along that shifts the parameters of indie music: The Smiths did it, The Fall did it, The Jesus And Mary Chain did it, and now Clinic are doing it... a debut set of original, yet compelling and familiar little gems... like a comically deranged hybrid of Kraftwerk, Stereolab and The Velvet Underground." Smog "One of the more hauntingly visionary indie-rock artists, Bill Callahan, a.k.a. Smog, writes sparse, poignant songs that shimmer with solipsistic grandeur." Smashing Pumpkins "Marked by crisp drums, distressed vocals, and a cunning knack for volume-surprises, more angular rock fare is outclassed by the haunted slowies, particularly Spaceboy and Today (with its unconvincing whine . . . is the greatest day I've ever known')."